Posted on 22, February 2018 by EuropaWire PR Editors | This entry was posted in Energy, Gas & Oil, Finland, Industrial, Management, Portugal, Technology and tagged Azores, Azores Islands, electricity, electricity grid, grid, Melle Kruisdijk, Pedro Neves, power plant, Wärtsilä. Bookmark the permalink. HELSINKI, 22-Feb-2018 — /EuropaWire/ — The technology group Wärtsilä will provide additional generating capacity to the local electricity grid in the Portuguese administered Azores Islands. A new 10 MW extension to the existing Belo Jardim power plant on the island of Terceira will be powered by a Wärtsilä 32 engine. The extension has been ordered by Energetus S.A, the Portugal based developer and installer of energy solutions, on behalf of the local utility, Electricidade dos Aҫores S.A. (EDA). The order with Wärtsilä was booked in January. The Belo Jardim facility is the only diesel power plant on Terceira, and the added generating capacity from the Wärtsilä solution will increase the reliability of the local grid. The Wärtsilä delivery includes preparation for an additional further extension to the plant should it be necessary. Wärtsilä will also provide technical assistance during the installation and commissioning phases. The plant is expected to be fully operational by May 2019. “We are very familiar with Wärtsilä’s capabilities as we have successfully worked with the company on previous projects. We are very confident that the Wärtsilä 32 engine is the right choice for this application,” commented Pedro Neves, CEO, Energetus. “We are very pleased to be cooperating with Energetus and EDA on this important extension project. 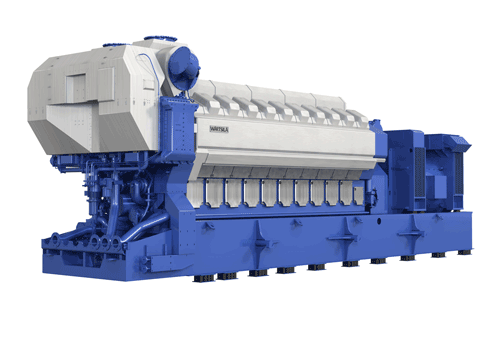 The new capacity is much needed and the Wärtsilä 32 engine is well proven for its excellent efficiency and reliability,” said Melle Kruisdijk, Vice President, Europe, Wärtsilä Energy Solutions. Energetus has earlier ordered Wärtsilä power generating solutions for a 54.5 MW plant on the island of Madeira, and for an extension to a power plant in Maia, Portugal. EDA already operates a power plant featuring four Wärtsilä 46 engines on another island in the Azores archipelago.